When it comes to Suzuka, many people think of the circuit which is famous for the race, but it is also a place where the sumi ink culture which is indispensable for calligraphy representing Japanese culture is inherited. It is said that the history of this Suzukazumi ink sticks started around 800 when sumi ink sticks were made using pines in the mountains of Suzuka. In Edo period, high-quality writing brush and sumi ink sticks were required to write a family crest of each Daimyo, and the demand grew along with the development of Terakoya. Rapeseed lamp soot of uniform ultrafine particles are refined. Pure black color with elegant gross in dark ink and ink black color with no turbidity in light ink. Widely used and particularly suitable for kanji and kana mixed writing style. 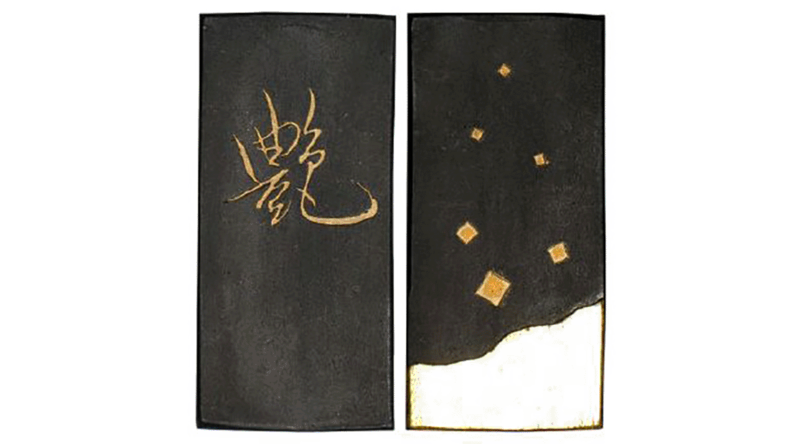 At first, Suzukazumi ink stick was developed to meet the demand for more accurate high-class sumi ink sticks for sumizome for writing crest but after a while, it was used more for writing, and many famous sumi ink sticks started being made, backed up with the advanced technical capabilities and high quality acquired over the years. In addition, Suzuka has an easy access to raw materials which are necessary for making ink sticks, and is blessed with various conditions of geography and climate as jelly strength of glue and viscosity can be optimized by weak alkaline water quality. For that reason, grinding on a Suzuri stone makes shade and gloss of bokuju elegant and thick, and a dark line part (baseline) of trace made by a brush perfectly harmonizes with its blemish. Japan's first full-scale international circuit completed in 1962. One of the longest Japanese courses of 5,859 kilometers in length and an outstanding technical course with all types of corners. Ink sticks to commemorate Suzuka F1. Suzukazumi ink sticks made by Shinseido is elegant and deep with a good coloring of sumi ink at the time of work creation, synthesizing baselines and blemishes in perfect harmony. It can be used for calligraphy and also as a dyestuff and paint. Moreover, original sumi ink sticks with favorite letters and decorations, and special sumi ink sticks with colors such as blue, yellow, purple, green and orange are also made, expanding the world of new sumi ink sticks. Special colored ink sticks made by mixing "Kira"and some colored sumi inks of blue, yellow, violet, green and orange. 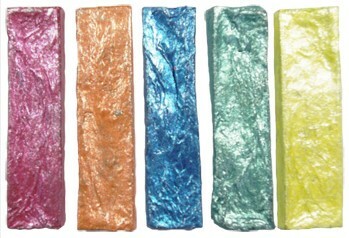 The industry’s first glittering colored sumi ink sticks.